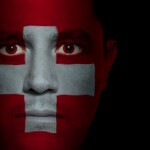 You are here: Home / News & features / Swiss life / Could this be the new Swiss national anthem? Many hope so. Some don’t. 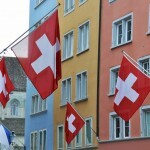 Some time ago the Swiss Society of Public Interest (SSUP – Société suisse d’utilité publique) decided it was time for Switzerland to change its national anthem. On 1 January 2014 they launched a competition to find new words to go with the national tune. By 30 June 2014, 208 entries had been submitted. These were then whittled down to six finalists which were put to a public vote. As you might imagine coming up with an anthem for a country with four national languages is not easy. 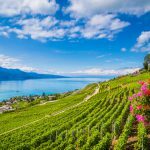 However, the votes are now in and counted and the winning entry can be heard below – in Switzerland’s four national languages of course! And if you look closely you’ll see that all four language versions were performed by the same choir. calls us to unite in peace. The next step is to present this alternative text to the people of Switzerland and get them to vote on whether they want to replace the existing one with this new one. Unlike the first vote the next would be a formal referendum. The outcome is uncertain. 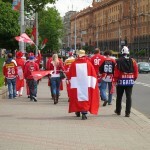 Many Swiss are attached to the existing anthem. In February 2015, Le Matin reported on a call from politicians to make singing the present Cantique Suisse compulsory at Geneva’s schools. You got it wrong: Some hope so, many don’t.